What is a VFX artist? Bring impact to our games! Today’s video games employ a dazzling array of visual effects, some small and delicate, some large and powerful, to draw the player in to their worlds. As a VFX artist, you’ll create and control these effects to add flavor to our games. Whether adding to the exhilaration and thrill of battle, the majesty of a looming landscape, or the atmosphere of a unique area, VFX artists make a tremendous impact on how players experience the games they love. A VFX artist’s duties are wide-ranging, and involve close cooperation with the teams responsible for nearly every other piece of in-game content – environments, character and enemy designs, cutscenes – to ensure that the best possible visual effects are used in the game. Most visual effects have fairly simple directions, and it’s up to the VFX artist to take those directions and add their own sensibilities to create truly spectacular effects. Our VFX artists take the initiative to go beyond the minimum specifications, and offer their own suggestions on what effects might make a scene truly shine. Working as a VFX artist demands a great deal of creativity and intuition. VFX artists start by using Photoshop, After Effects and other 3D tools to design visual effects to suit the contents of a game. 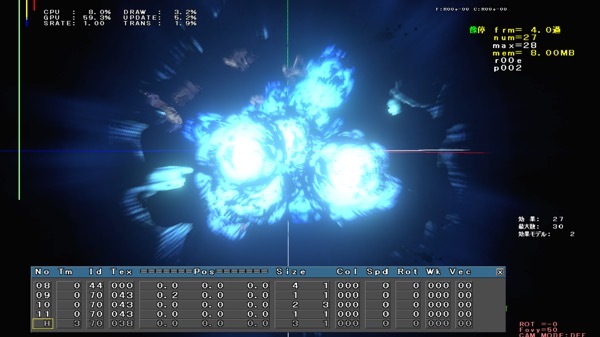 Then, using our in-house effect tools, they check how these effects look in-game in real time. Next, they show what they’ve come up with to the rest of the staff – the director, programmers, game designers, character modelers and sound designers – and, with their feedback, proceed to put their ideas into the game. Our VFX artists use Photoshop and similar tools to create art and animation textures to suit the visual effects they create. Then, we resize the prepared material textures to fit perfectly into the game and register them into our in-house effect tools. This allows them to appear in the game itself! VFX artists use our tools to set up animation, blending, physics simulation, shader changes and more, all in real-time – ensuring they can capture the exact effect they’ve imagined. 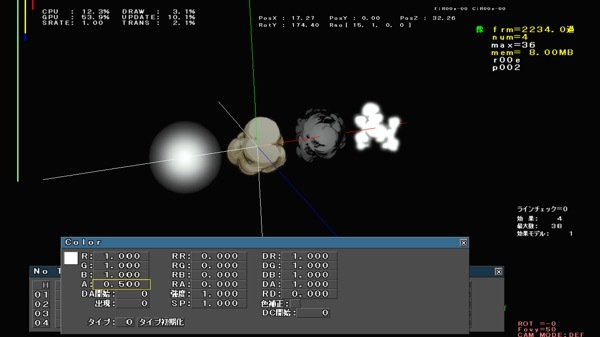 All these elements are combined and polished to create the effect that appears in the final game. 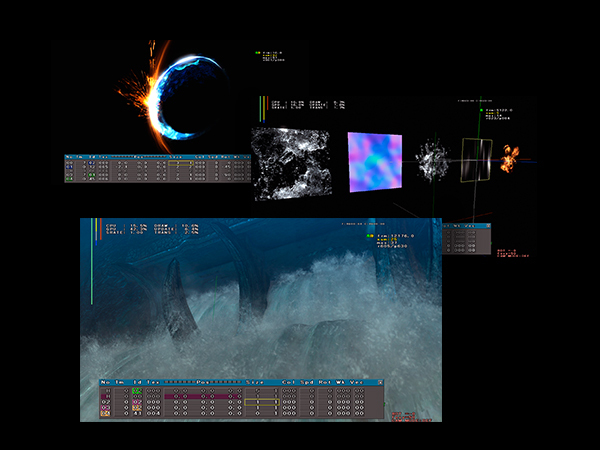 Our effect tools can handle nearly everything needed to create perfect visual effects, including positioning and timing. 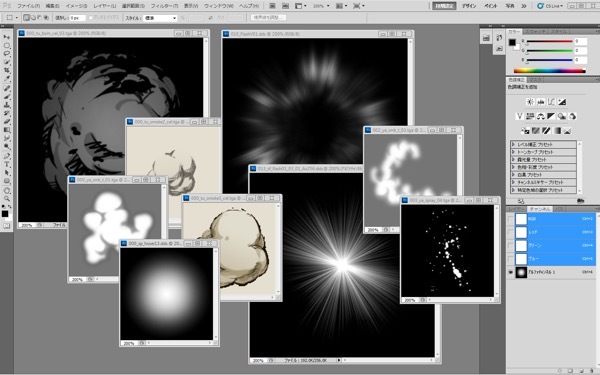 I worked as a VFX artist in Tokyo for six years, where I provided mainly battle effects for three RPGs. From then, I knew I wanted not only to create visual effects, but also to provide my own ideas to help game development as much as I could. 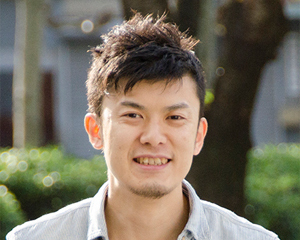 I wanted to make truly interesting games, and improve my own skills and knowledge. That’s why I applied to PlatinumGames. Tell us about what you do here at Platinum. Each individual section is really communicative, and quick to respond to other teams’ concerns, so production is efficient. All the teams come together to focus on a single goal, which makes for a fun environment. For example, by speaking with the programming team, we’re able to add further functionality to our effects tools, which expands what we’re capable of. There’s a lot to take in, and a lot I still want to accomplish, but PlatinumGames is an energizing, exciting place to work. You can’t beat seeing a visual effect that you’ve designed show up, bit by bit, onscreen in a game. When the whole company comes together for meetings, it doesn’t matter whether you’re a veteran or a new hire – we’ve created an environment where anyone can speak their mind for the good of the game. That’s a huge benefit. Also, there are regular discussions for sharing information on the development process, and study sessions where we go over how things appear in the game and what technologies we can use. Of course these are great because they provide more knowledge you didn’t have before, but they also help you feel accomplished when you spearhead them yourself. Our staff is made up of interesting people, and it feels like an intimate, friendly environment. What role do you think visual effects play in a game? What appeal can they add? 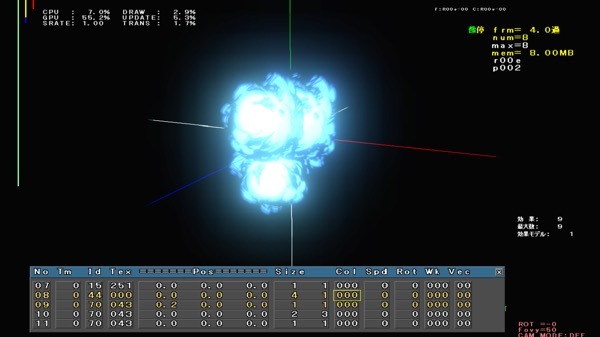 Visual effects play a huge role in determining how a game looks. It’s not going too far to say that visual effects can make or break a game’s presentation. The effects we make engross the player by bringing attacks and magic effects to life, show off the special characteristics of giant enemy monsters and make them feel real and eye-catching, pull the player in to majestic cutscenes, build suspense… From adding to the realism of the skies and water made by the environment artists, to creating fantastic scenes like laser dogfights between spaceships, VFX work involves a special amount of freedom and range, even among other game artists. If you want to help create ground-breaking games, bursting with originality; if you want to pursue top-class quality and create never-before-seen visual effects; this is the company for you.